Suitable for a wide variety of applications, a gas air compressor is as at home in heavy industrial environments as it is in a small auto repair shop. 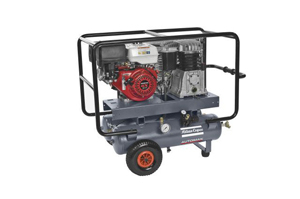 A&W Compressor offers a wide variety of gas air compressors for sale including both new and used conditions. Offering top name brands like Atlas Copco and Champion, we provide our customers with only reliable, high-performance gas compressor solutions. Regardless of your needs or your budget, A&W Compressor can help you with personal, professional service and economical prices. Call or e-mail us today for more information on our sales and service, as well as what gas air compressor options are currently available.